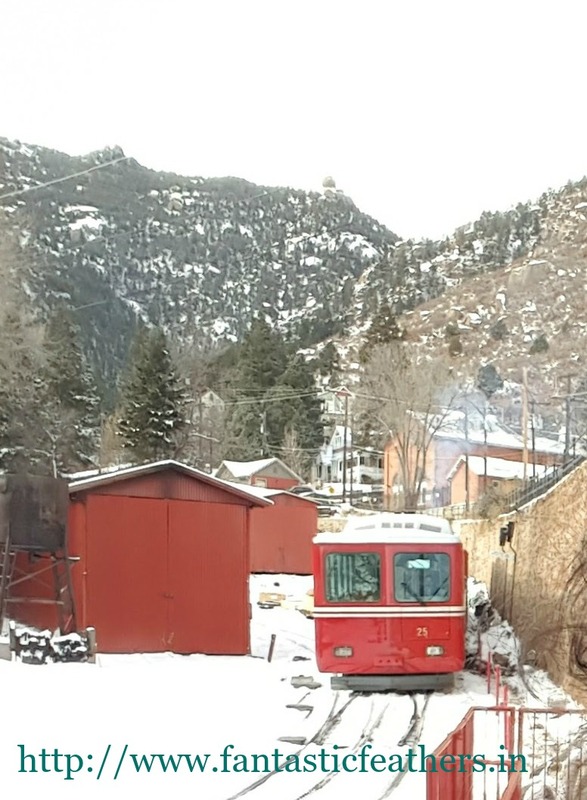 Colorado springs is definitely a nature lover's paradise and the best destination for people who love hiking and mountains. Though weather becomes unpredictable often in winter, the beauty of this season here is never to be missed. 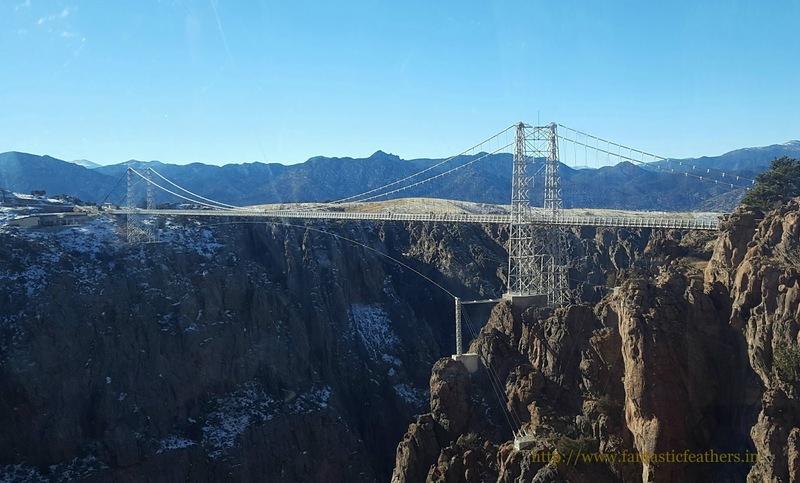 The Royal Gorge bridge and park in Canon city which is 1 hr drive from Colorado Springs is one of the world's highest suspension bridges. The bridge across the river Kansas is constructed in 1929 and it suffered a huge loss because of fire in 2013. Fortunately, it is restored now. 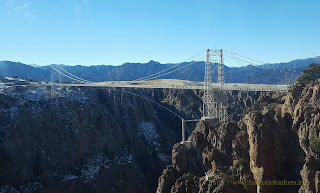 The scenic Gondola ride gives fantastic 360 degree views of the canyon and the river in the valley. There are other adventure rides also like zipline and Sky coaster which are one of its kind. Though some rides cost extra charge, normal admission to the bridge and Gondola ride costs $22 per adult and $17 per child. Pikes peak is an incredible experience. The 3 hrs15 min round trip train takes the tourists to the peak of the summit which is 14,500 ft above sea level. The trip to the peak is an amazing journey with beautiful views of valleys, cascade falls, a lake etc.,In winter season from Jan to the end of February month, the train ride goes only till 11,500 ft because of the weather, but it's still worth a visit for the excellent view of snowcapped mountains. These majestic waterfalls have earned a spot in National Geographic's list of international falls. 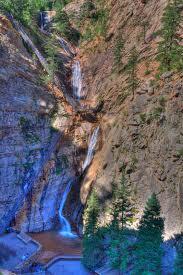 These 181 ft falls reach the ground in seven distinct steps, thus it got it's name. This place is owned and maintained by Broadmoor. There are steps leading to the top of the waterfall with resting points in the middle to enjoy the falls. The falls completely freeze in December and January which makes them look spectacular. There is an elevator to reach the top and there are zipline tours for adventure seekers. While all the above attractions charge an admission, this natural park is free to visit. This national natural landmark is home to several beautiful rock formations with adventure trails, hiking, and rock climbing. 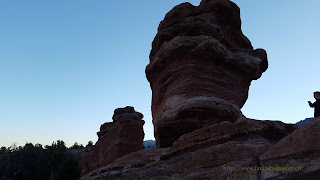 Learn more about these amazing red rock formations at the visitor center through Geo-trekker movie experience and capture the Sunrise and Sunset in red rock canyon to make great memories. These caves are million years old, though discovered 147 years ago. 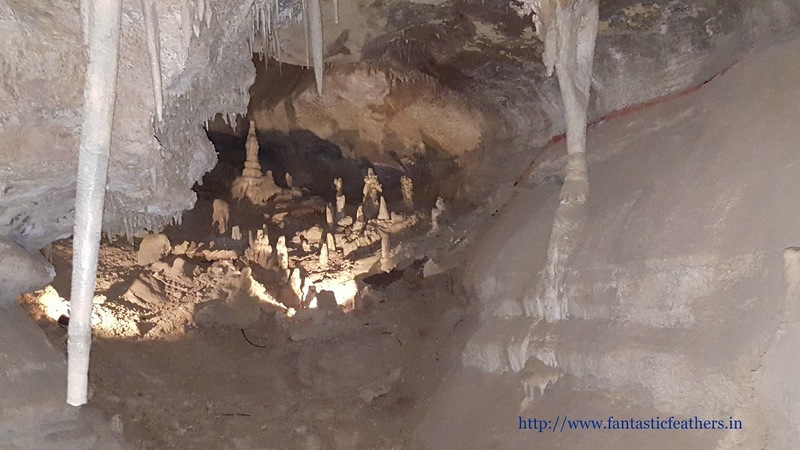 In 1869, Arthur B Love noticed these caves, but two brothers George and John Pickett explored these caves further to find an amazing underground world with limestone formations. 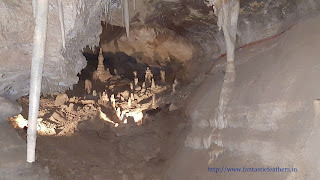 There are different tours carried out at regular intervals in the cave to guide us through the cave geology. There are also some adventure rides like Bat-A-Pult, Wind walker challenge, and Terror-Dactyle. 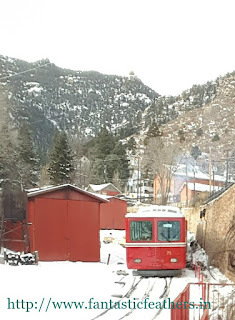 So, here is my must visit list in Colorado springs. There are many more beautiful places in springs and I will be posting detailed travelogues on each of the places soon. Wow.. hopefully someday, I will visit. The cave is looking so interesting. Lovely pics..when did u got to Colorado? is it a recent trip? We were in US for 5 years too. Yes Lata. You should visit this place when possible. Thanks Deepa. Yes, it's a recent visit. If I have to pick one, it would be the caves... They look so mysterious and fascinating... Gorgeous locations. Wow that's a beautiful description of Colorado. Amidst nature.. the pics says it all. Thanks for sharing this lovely list. Hope to visit once in lifetime.